Mayday! Mayday! Mayday! is a term that has been used internationally as a distress signal. It derives from the French venez m'aider, meaning "come help me". On May 1, May Day also signifies an ancient spring festival in the Northern hemisphere. April showers bring May flowers! The month of May celebrates Mother's Day and is also Osteoporosis Awareness Month. We at Speaking of Women's Health are proud partners and collaborators with the US Department of Health and Human Services Office Office on Women's Health and look forward to celebrating this year's National Women's Health Week May 13-19 with you! So as you begin the glorious month of May with fragrant flowers and spring in the air, be sure to stop and assess your health, your mom's health, your daughter's health and your bone health. 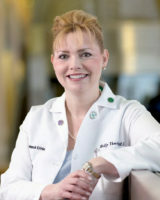 Be sure to tune in to our upcoming Bone Health Web Chat at noon on May 4, 2012 with Dr. Andrea Sikon, an osteoporosis specialist who is very knowledgeable and compassionate. She watched her own strong mother care for her mother, Dr Sikon's proud and previously strong, tall grandmother, who suffered with osteoporosis and painful broken bones. This Health Chat will open on Thursday, May 3 to allow you to submit questions and if you are not able to tune in for the live chat, we will have a transcript of the web chat on speakingofwomenshealth.com. We also have a free, downloadable treatment guide on osteoporosis. I know that on Mother's Day when Dr. Sikon spends time with her young daughter, she, like countless other women across the globe, will remember and honor the women in her life.